ODT’s annual spook parade/dance production Thriller has become so bloody popular that it had to go and add an entire second cast. The first will perform the 19 mainstay performances at Kingsbury Hall in Salt Lake City, after a short three-night warm-up run in Ogden; the other will take the sell-out sensation on the road to greater Utah, including Logan, Provo and sunny St. George. 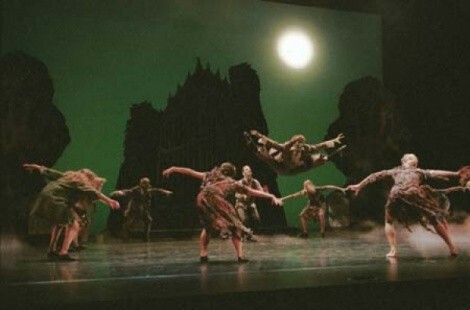 This year’s production will include a few surprises to spice up the tried-and-true favorites of Thriller, The Curse of the Mummy, Dem Bones, Frankenstein, Jason Jam, Salem’s Mass and The Lost Boys—not to mention the one piece of Darryl Yeager choreography that thoroughly upsets lovers of Irish Step Dance everywhere, River of Blood Dance, in which a sniper playfully picks off the dancers one by one with his rifle as a very large Michael Flatley impersonator hilariously fails to take cover.